Home Accessories Special Offers Quality Custom Products Designed by You! Quality Custom Products Designed by You! 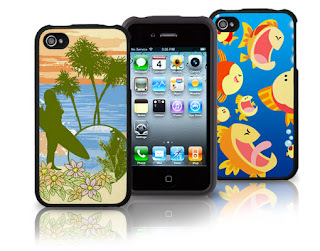 Zazzle, the world's leading platform for quality custom products, in collaboration with Speck, a leading designer and manufacturer of popular electronics cases and bags, continues to provide consumers with ways to shower their iPhone with love and adoration with the announcement today that its custom iPhone 4 cases are fully compatible with the new Verizon iPhone. Consumers looking for the perfect way to say "I Love You" , “happy Birthday”, “I miss you” or express other feelings for the respective occasions. Zazzle's powerful customization tools and colossal marketplace of content contributed by artists and brands worldwide, promise to make this a must-have gift for shoppers. • The Speck Fitted case is a high quality, durable, lightweight case with custom-fit contours and openings allowing access to all ports, sensors and controls. • Form-fit, fabric-wrapped hard shell adds maximum device protection and creates a tailored appearance. • Fabric area covers the complete backside of your device and is 100% customizable with your own unique designs, images, or photos.